By no means, however, did the team members limit their undergraduate experience to just basketball and academics. Out of the eighteen players on the 1963 team, according to their respective senior profiles in the Record, at least fourteen players were involved in some significant undergraduate activity other than basketball. Some players sought additional competition outside of basketball, playing baseball or running track. Ray Carazo, Bob Purdy, David Charles Robinson, Bruce Moore, Geoff Strum and Karl Richard Vogelsang played for the baseball team and John Wideman and Ed Anderson ran for the track team. For most of the 1963 team, playing basketball was only part of their undergraduate experience. Some team members took active roles in student policy organizations. Senior Sidney I. Amira had represented his class by serving on the Freshman Council, sophomores Ed Temple Anderson and Frederick John Greene would later serve as Senior Class Vice President and Election Chairman of the Men’s Student government, respectively. It would be easy to assume that like on many athletic teams, the smartest individuals on the team did not actually contribute to the success of the team. Yet in 1963, no such distinction was necessary. 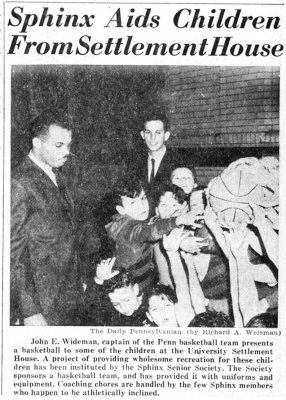 Wideman, Purdy, Strum and Amira, four players who excelled academically, composed a significant portion of the team’s core group, as defined by the 1963 Record. Wideman additionally led the team in scoring and was one of six players named to the all Big 5 team.